M35 and NGC 2158 have always been favorites of mine. Years ago when using a 4.5-inch reflector, NGC 2158 could be difficult, especially from my light polluted backyard at that time. 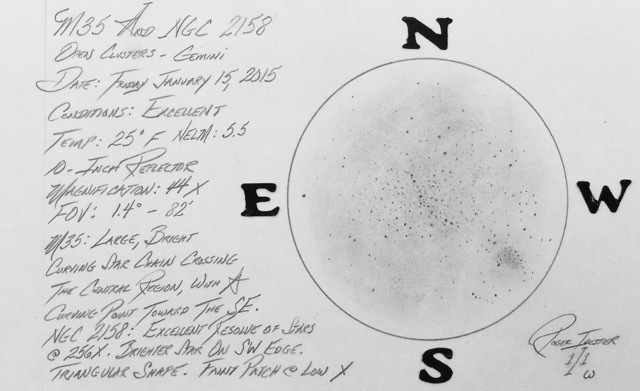 I often used this fainter companion cluster to determine transparency. M35: 102 mm refractor is extremely bright with the most noticeable feature being a curving star chain crossing through the center of the cluster. 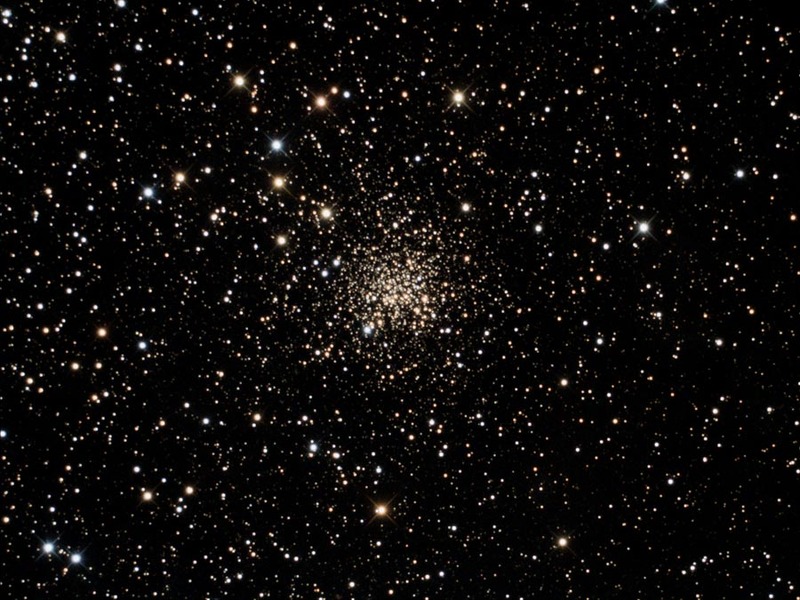 The cluster contains mostly bright bluish-white stars. 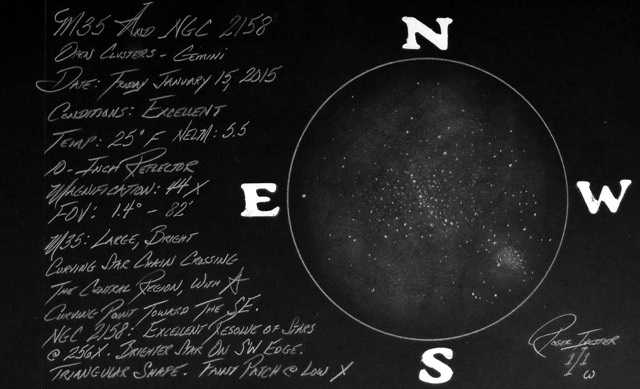 NGC 2158 appears as a faint, mostly round patch of light without resolution, however, one brighter star (requiring averted vision) can be seen on the western edge. NGC 2158: 10-inch reflector at 256x will resolve about 40 or so faint stars. Excellent seeing and high magnification is required to resolve this beautiful, faint and small open cluster. The following image of open cluster NGC 2158 is by Dr. James Dire of Hawaii, using an 8-inch RC f/8 telescope with 6 x 10 minute exposures. This entry was posted on February 25, 2015 at 7:51 pm and is filed under Work File Only - Observer's Challenge Reports. You can subscribe via RSS 2.0 feed to this post's comments. Both comments and pings are currently closed.